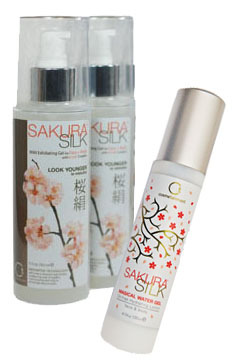 Sakura Silk contains K-Link Complexâ„¢, our exclusive blend of natural botanicals and active ingredients. This special blend targets built-up keratin that dulls and hardens the skinâ€™s appearance. When the K-Link Complexâ„¢ attaches itself to dead skin cells, a special K-Link Reaction occurs to remove old keratin on contact. Unlike ordinary exfoliants that irritate and scratch the skinâ€™s surface, Sakura Silkâ€™s revolutionary formula exfoliates gently and effectively, without any damage to the skin. 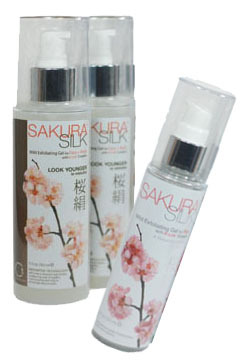 With added skin nourishing ingredients, Sakura Silk moisturizes the skin with mineral-rich algae extract and hyaluronic acid, an instant skin-lifting hydrator. Ancient natural botanicals of cherry blossom leaf and evening primrose seed extracts are added to heal, protect, and soothe the skin. Arbutin, a natural plant-derived skin lightener, helps to diminish the appearance of age spots and minor hyperpigmentation. SIMPLY CLEANSING YOUR SKIN IS NOT ENOUGH! 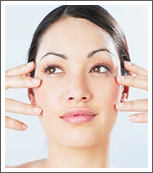 Maintaining the look of ageless skin isnâ€™t always easy. From diet to lack of sleep, and the dirt and toxins in the air, our skin battles the effects of aging every day. Although we cannot turn back the clock, we can certainly help our skin preserve its youthfulness with an effective skin care program. Although exfoliation has been prevalent for centuries, our busy lifestyles and lack of knowledge make it easy to forget this essential, skin-saving step. Not only does exfoliation enhance the bodyâ€™s own cell renewal process by removing the outer layer of skin to reveal the newer skin underneath, it also activates the skinâ€™s natural repair response to improve the health of the skin. When we exfoliate, our skin feels softer and looks more youthful and refreshed. 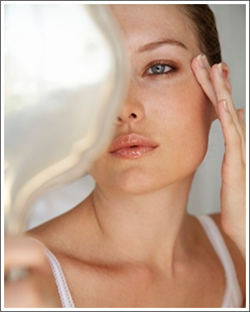 Over time, fine lines and wrinkles appear less often. An improvement in moisturization helps diminish scaly, rough patches. Increased blood circulation can help lessen the appearance of cellulite for a firmer, more refined skin tone. If exfoliation is ignored, it results in dull, tired skin, loss of tone, dryness, reoccurring breakouts and acne, and the inability to absorb nurturing ingredients from skin care.